Home › Uncategorized › Target Store Shopping Spree! 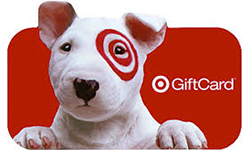 ONE MINUTE of your time could win you up to a $100 Target Store Shopping Spree! Who doesn’t love Target? The place you go to pick up something quick and come out with a full cart. Take just one minute to complete the 2-question, annual NorthstarMLS survey, and you will be entered into a random drawing to win one of four Target gift cards: $100 (2 of them, 2 different winners), $75 or $50. But even more importantly, you will make your voice heard. NorthstarMLS staff and Board members read every survey comment to help plan the focus of resources for 2019 Participate in this planning effort–evaluate NorthstarMLS and help make it better–we want your opinion!